Boot 560, 2mm Neoprene lightweight race boot. Designed for ultimate feel and control. 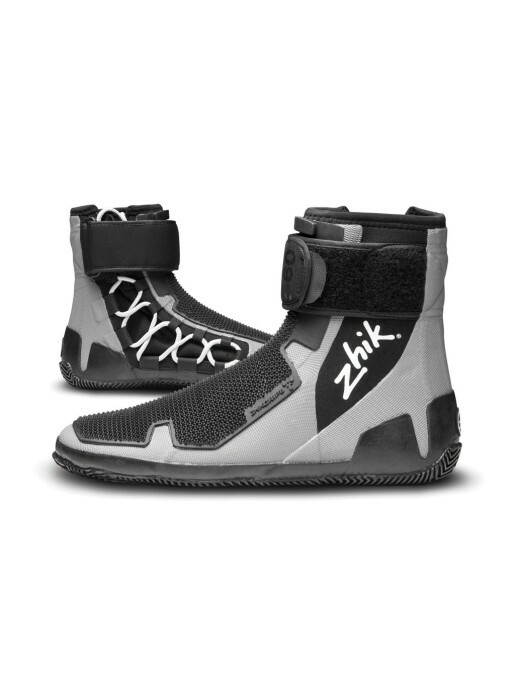 The culmination of many years of research and development alongside our team of World Champions, ZhikGrip II is a new dinghy boot & toe strap combination designed to increase hiking performance. Interlocking grip on boots and straps allows you to relax muscles, lock into the boat dynamics and hike harder for longer while maintaining full mobility.